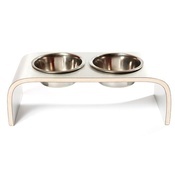 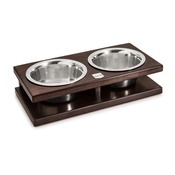 Brighten up your pampered pooch's dining area with this chic rectangular raised pet feeder from Lola and Daisy. 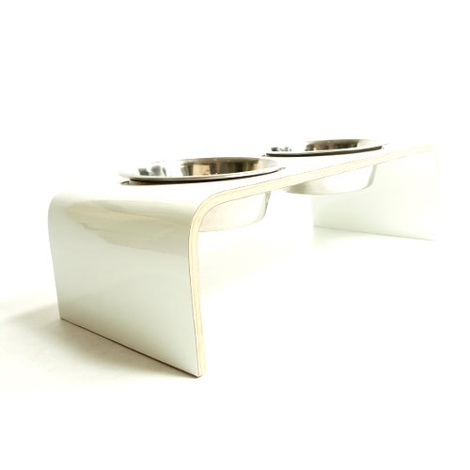 Made from gorgeous curved layers of vacuum pressed plywood and Formica, this feeder is finished off with a snow white laminate gloss and shiny stainless steel bowls. 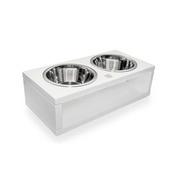 Large, raised feeders are more comfortable for big dogs, and especially for older or arthritic pooches, making this a practical and stylish piece. 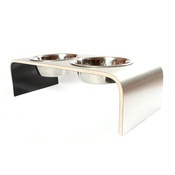 Plus, the laminate finish is hygienic and easy to wipe clean with a cloth. 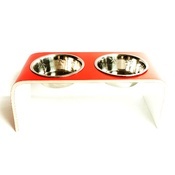 Holders: 56cm (L) x 28cm (W) x 24cm (H).